I’m having a perfectly fine day, but this Pteranodon has had better. At least she got to meet Chris Pratt. Kicking off Dinosaur Week by watching Jurassic World, buying tickets to the sequel on Wednesday and building this set from the new film. The set is called Pteranodon Chase and without having seen the movie, I’m left to assume that the world has become completely overrun with dinosaurs. 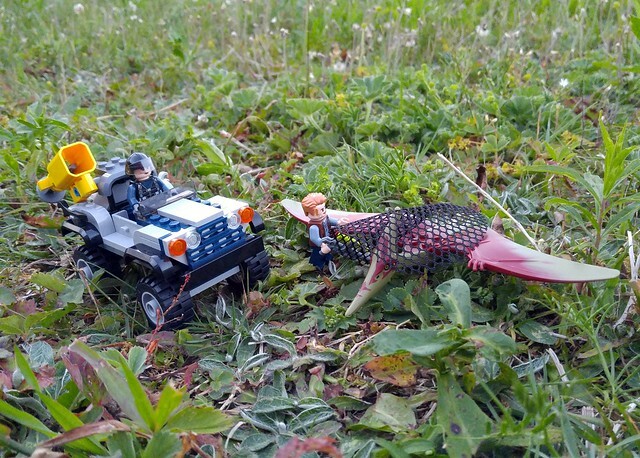 Owen Grady and this post-apocalyptic dino cop are out hunting Pteranodons to gather eggs for breakfast. Can’t wait to see all that! With these sets, the stars are always the dinos and the fancy flyer is pretty sweet. It’s the same one from the Juniors set and the Pteranodon Escape set from Jurassic World, but in olive green instead of grey. Same molds as the version in the Dino theme set, but again different colours. The vehicle is often a throwaway and while this one is destined for the parts bin, it’s pretty sturdy for it’s size. Also, it has a couple of neat parts that are new to me, but I can already tell I’ll get a lot of use out of them. It also has one of the new round nets. 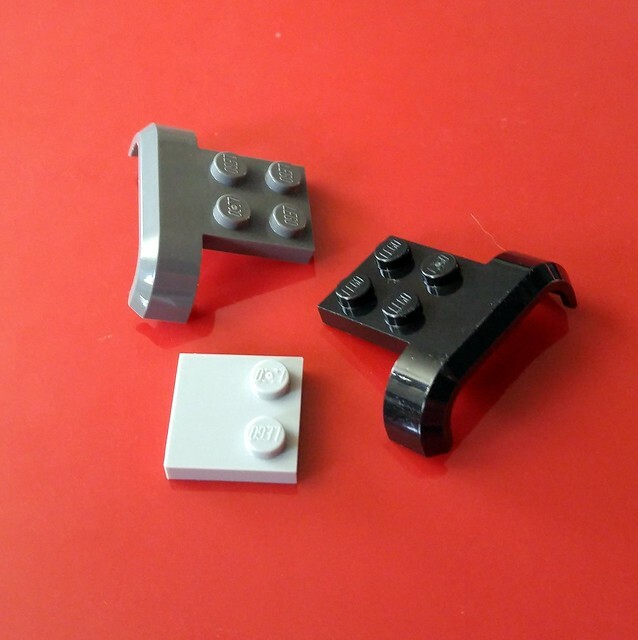 I find the old square nets incredibly useful for non-traditional LEGO connections. These won’t work the way the the old ones do because of the size of the holes, but they’re still pretty cool. The launcher it shoots out of is also newer and it works pretty well. I shot it at my son and it actually opened up and landed on him. Didn’t catch him though. Must be some kind of giant I guess. So not a bad start to the week I’d say. I would consider picking up 2 or three of this set on sale to get a small flock of these sky sharks. Or maybe the Juniors set to get a grey one for variety. I just love dinosaurs, so I can’t resist. I could do this all week.